I am a Google Certified Teacher. That means that I have gone to a Google campus and been trained to 3 days on how to use Google apps and can even train others how to use or better use Google apps in the classroom. I am also a Google Certified Power Searcher. 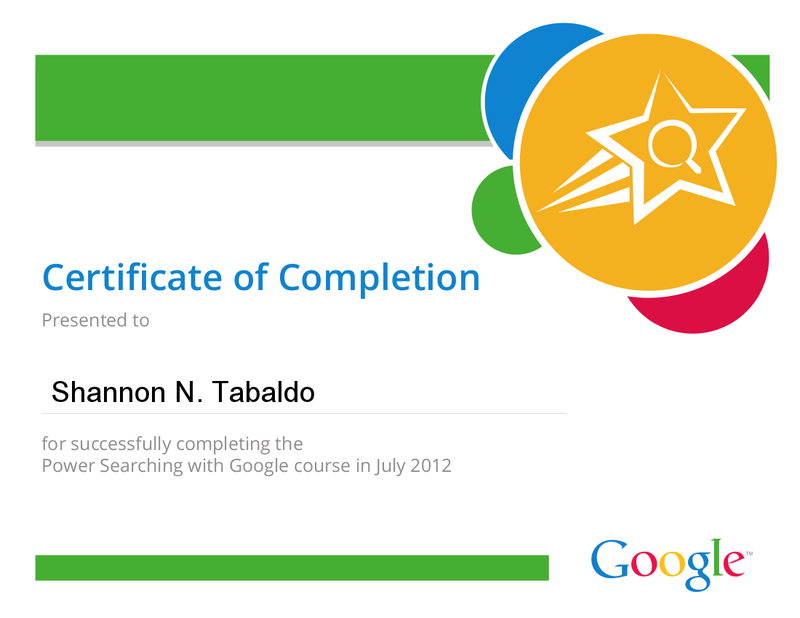 This means that I have taken a Google Power Searching course, and I am now a stronger searcher. This has helped me to search faster and more purposefully in my job as well as when I’m working with faculty or my kiddos. Well now I can be a Google Advanced Power Searcher too! Google posted on its Google for Students Blog this week, that an Advanced Power Searching online course will begin January 23 through February 8th. Registration is required and it is a bit of work. I will tell you that I use Google so many times a day that I can’t even count. The Google Power Searching course taught me searching tips and tools using Google in a way I have never knew possible. I can’t wait to see what NEW searching tips and tools I’ll learn as an Advanced Power Searcher. If you are a teacher, a student, a Google user I recommend Google (Advanced) Power Searching class. I can almost guarantee that you will walk away with not only a certificate from Google, but you will walk away with some knowledge about searching that you did not have before. Hope to see you there! Professional Development is a difficult subject to tackle because it means many different things to different people. PD to a teacher means finding something that they can attend that has some value and is hopefully interesting to their related subject or grade level and will meet the amount of hours needed to keep current. PD to an administrator means you are paying a substitute AND the teacher at the same time. I know that seems harsh, but it is true. As much as an administrators want the teachers to be current in their areas, they really want them to do it on their own time. As students are expected to learn more complex and analytical skills in preparation for further education and work in the 21st century, teachers must learn to teach in ways that develop higher order thinking and performance. These new standards require a new kind of teaching, conducted by “teachers who understand learning as well as teaching, who can address students’ needs as well as the demands of their disciplines, and who can create bridges between students’ experiences and curriculum goals” (Darling-Hammond, 2005, p.5). Efforts to improve student achievement can succeed only by building the capacity of teachers to improve their instructional practice and the capacity of school systems to advance teacher learning. What is being asked of us as teachers is more complex than it was 20 years ago and therefore we will need to help the teachers by filling their teaching “tool-belt” with some 21st century tools. Here is an awkward thought, what about the Professional Development for the Educational Technologist? Here is an industry that is changing at the speed of dog years x 2! Just when we research the products out there, then recommend the product, by the time the school board approves the product it could be obsolete. Finding technology that will remain constant is an oxymoron. PD for the Instructional Designer, the IT Professional, the Educational Technologist is critical, because the technology can function totally different in a year to meet the needs of different uses/consumers. For tech professionals, the process for implementation of new technology looks much like any other business model for implementation: Request for Proposal, Research, Recommend, Approve, Implement, Assess, Revise, Assess, Report. With this model in place in an educational institution, usually it involves a new phone system or risograph, or copier. In those instances this process could go smoothly and quickly, but when it comes to software and hardware this process can be painstakingly difficult. This is why technology professionals in education need to be current in their area of expertise just as a subject matter expert faculty member. These tech pros when filled with knowledge from conferences and collaborations with others in their industry will be your loyal companion and trusted confidant. These tech pros not only crave the newest information on whatever gadget is comping out, in order for them to be of any value to their institution, they must be as current as possible in their area. For tech pros, conferences like Educause and software user conferences are the best way to stay connected with the new and emerging technologies. 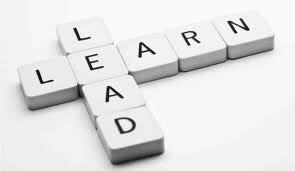 Take that to the next level and understand that there is more community development in learning communities and list-serves even consortiums. I know I personally look forward to professional development and I always make sure I leave the conference with at least one thing I can take away and implement right away. If I’m an attendee thats what I want out of every session and if I’m presenting, that’s what I try to give. So for some Professional Development is and always will be a burden, but for others of us, not only do we require it we actually look forward to it!